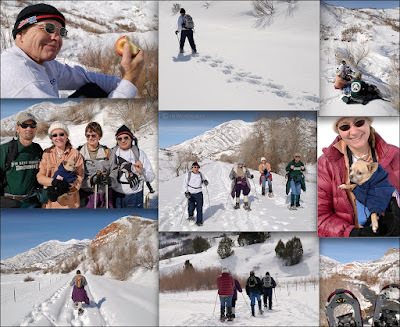 What a great time snowshoeing! The weather was perfect. Lunch on the trail. Great exercise and wonderful fellowship. Hope to see you at the next outing! Click on photos to see ENLARGEMENT.